Roald Dahl is one of the greatest children’s book authors of all time, and the films made of his stories are usually very good to all-time classics. Charlie and the Chocolate Factory was written by Dahl himself back in 1971, and before the bizarre Tim Burton big screen adaptation starring Johnny Depp, there was the beloved Gene Wilder version, Willy Wonka & the Chocolate Factory. Since then we’ve gotten excellent work in films like The Witches, Fantastic Mr. Fox, Matilda, and James and the Giant Peach. 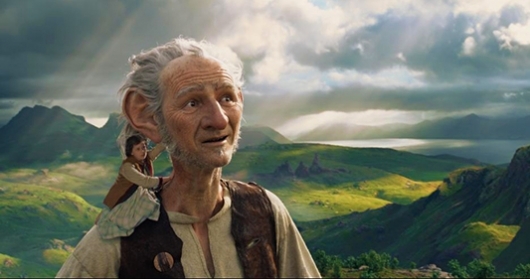 Take the finest child author and combine him with the greatest living director, Steven Spielberg, and you get a the potential for a classic in the making: Disney’s The BFG… Big Friendly Giant. Roald Dahl created some of the most beloved children’s stories of the 20th century, including Charlie and the Chocolate Factory, Matilda, James and the Giant Peach, The Witches, and Fantastic Mr. Fox. Like Walt Disney, Dahl had a knack for fusing the fantastic with the frightening, blending sweetness with sadness in a way that resonated with old and young alike. Dahl’s The BFG was first published in 1982, the same year Steven Spielberg’s own seminal tale of friendship, E.T. The Extra-Terrestrial, captured the hearts and imaginations of audiences around the world. It’s funny how things work out. Three decades later, Spielberg and his E.T. collaborator, the late screenwriter Melissa Mathison, have adapted the Dahl’s timeless adventure for the big screen. Disney has released the official trailer for The BFG, director Steven Spielberg‘s adaptation of the 1982 Roald Dahl story of the same name, which is set to release later this year fairly close to the 100th anniversary of Dahl’s birth. 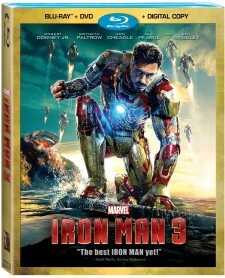 A teaser trailer for the movie was released back in December of last year, and can viewed right here if you missed it. 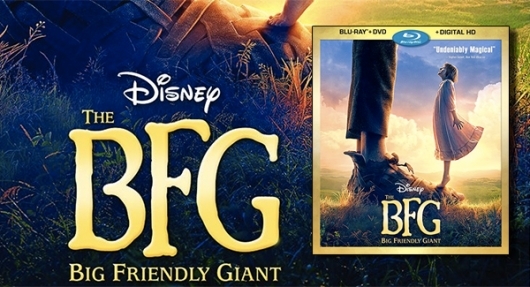 The new trailer gives us a much better look at the movie and the BFG (Big Friendly Giant) himself (played by recent Oscar winner Mark Rylance), and perhaps even some BNSFG (Bigger Not So Friendly Giants). Check out the trailer and a poster and read more about the movie below. Steven Spielberg reunites with his Bridge of Spies star Mark Rylance for an adaptation of Roald Dahl‘s children’s classic, The BFG. Rylance didn’t get as much screen time as his fellow Spies co-star Tom Hanks, but he stole plenty of scenes with his strong performance. And now we will be able to see what he can do when he shares the screen with newcomer Ruby Barnhill for a much bigger role as the titular character. 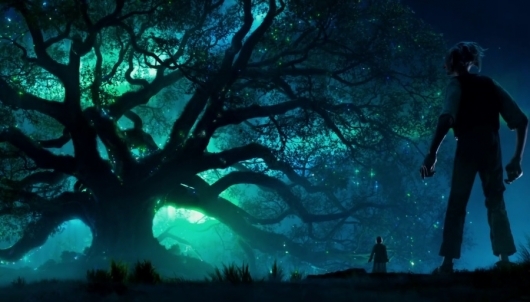 In the film, Barnhill plays a little girl who appears to be the only one in her orphanage who can see and speak to the title monstrous giant, who will take her the mysterious Giant Country. 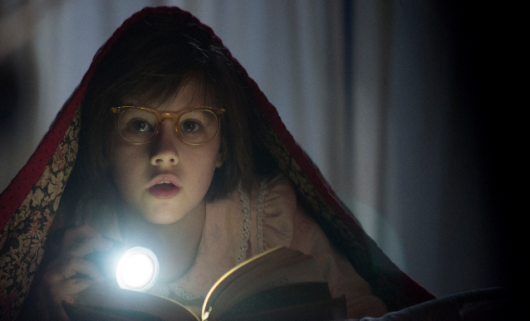 Take a peek at the very first look at Disney’s The BFG below. 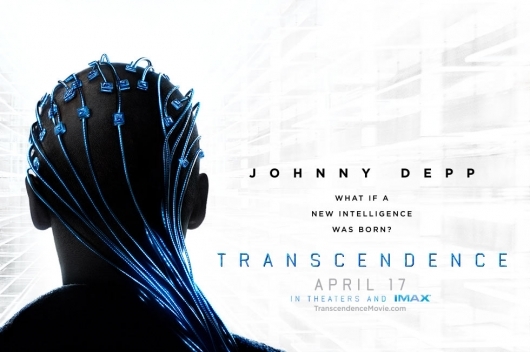 The trailers keep on coming for Transcendence, the directorial debut for frequent Christopher Nolan cinematographer Wally Pfister. We’ve already seen some teaser trailers and one full trailer, and now comes a second full trailer. The movie stars Johnny Depp as a man working to create a machine with an unheard of level of intelligence…something an anti-technology extremist group does not want to see him succeed at. When they attempt to stop him, he becomes part of the machine he was trying to build, and more powerful than ever. 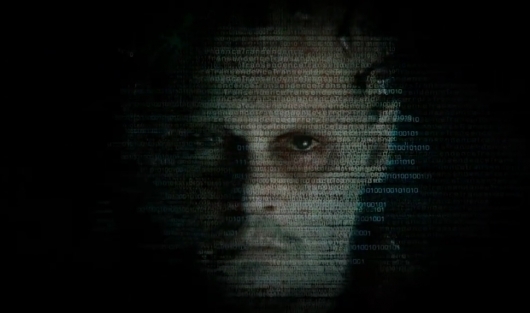 You can read a full synopsis and watch the new trailer for Transcendence below. The first official teaser trailer (now updated with a second teaser featuring some glorious Morgan Freeman voiceover work) for Transcendence has been released online. The movie stars Johnny Depp and is the directorial debut of Wally Pfister, a cinematographer best known for working with Christopher Nolan on most of his films including the Dark Knight trilogy and Inception, which scored Pfister an Oscar. You can check out the first teaser trailer and a synopsis below.